California’s best stargazing happens miles away from the glare of city lights. From deserted beaches to the High Sierra, from mountaintop observatories to vast, dark-sky deserts, the Golden State offers unbeatable locations from which to sit back and contemplate the majesty and mystery of the universe. So even for those who don’t know their Betelgeuse from a Pleiades, here are some of the best places for stargazing in California. Sometimes the best stargazing takes place indoors, including at the one spot where Hollywood and astronomy do collide: the Griffith Observatory. 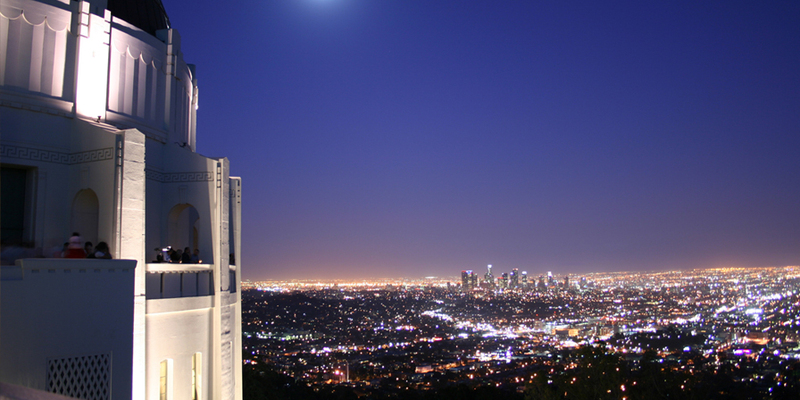 Recognizable from films such as The Terminator and Rebel Without a Cause, the iconic Art Deco facility features exhibits, lectures and films, as well as stunning city views. The L.A. area has another observatory, the Mount Wilson Observatory, sitting at an elevation of 5,700 feet above the city of Pasadena. It specializes in weekend solar viewings for the public; there’s also great hiking in the area. In San Diego County, the Palomar Mountain Observatory is operated by Caltech and is home to a 200-inch telescope, for decades the world’s largest. Guided and self-guided daytime tours are offered. Oakland’s Chabot Space & Science Center was founded as an observatory in 1883 and is still home to three telescopes that are open to the public. 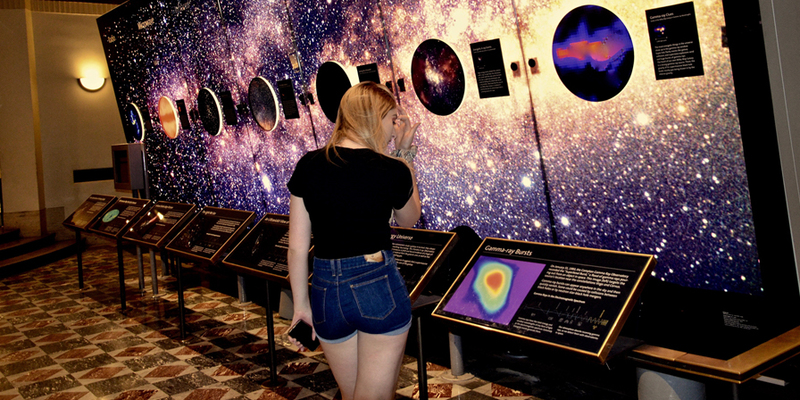 It also has exhibits, artifacts, workshops and planetarium shows. In San Francisco, the venerable California Academy of Sciences is a planetarium, aquarium and natural history museum all rolled into one, while San Diego’s Fleet Science Center in Balboa Park has astronomer-led planetarium shows in its Giant Dome Theater the first Wednesday of the month. California’s deserts are a paradise for stargazers, providing some of the best views of heavenly bodies in the world. The International Dark-Sky Association has named three Golden State locales as International Dark Sky Parks: Joshua Tree National Park, Anza-Borrego Desert State Park and Death Valley National Park. All three parks, situated far from city light pollution, offer ranger-led and visitor-center astronomy programs (Joshua Tree holds its Night Sky Festival in November), as well as fantastic camping options. 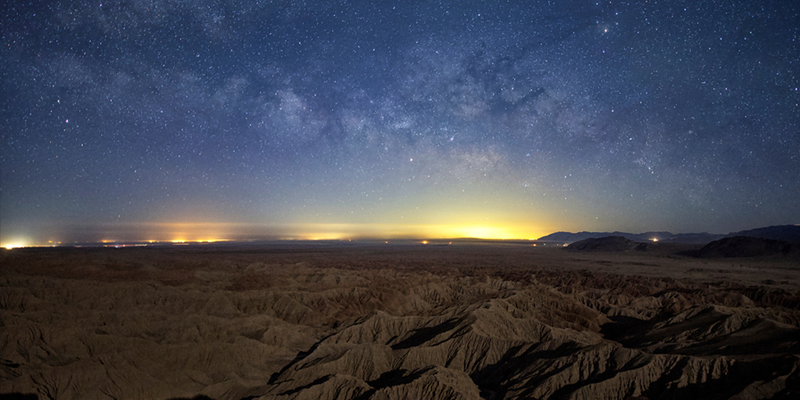 The town of Borrego Springs, which is completely surrounded by Anza-Borrego state park (California’s largest), has long been a popular destination for sky watchers. In 2009, the Dark-Sky Association named Borrego Springs the second Dark Sky Community in the world; astronomy events take place here year-round. The Oasis at Death Valley (formerly known as the Furnace Creek Inn) is a historic property built in 1927 that’s also a popular landing spot for astronomy groups and star parties in the heart of Death Valley. You can get a front-row seat to the cosmos at high-elevation, dark-sky spots like Yosemite, Sequoia and Kings Canyon, and Lassen Volcanic National Park. Each park offers ranger-led astronomy programs and tours, along with breathtaking locations from which to stargaze. Many insiders consider wintertime the best season for Yosemite star watching (bundle up! ), and the famed Glacier Point overlook the place to do it from. Sequoia and Kings Canyon take advantage of their 7,200-foot elevation for a Dark Sky Festival, and monolithic Moro Rock makes for an unforgettable stargazing destination. In the Eastern Sierra, the Minaret Vista in the Mammoth Lakes area is the go-to spot for stargazing; even better is soaking in the thermal waters at Wild Willy’s Hot Springs while gazing up at the celestial show. Lake Tahoe offers the unique opportunity of sky watching from a beach or from a mountaintop, with the region’s 300 clear nights per year an extra advantage. If the weather is cooperating and the fog has cleared out, the coastal night skies shimmer with stars, particularly in areas far from population centers. Las Flores Ranch Park, a 1,700-acre preserve south of Santa Maria in Santa Barbara County, schedules stargazing parties with a variety of astronomical societies. Further north in Big Sur, the striking and luxurious Post Ranch Inn has its own powerful telescope and an in-house amateur astronomer who leads viewing sessions. Or to really get away from any of that pesky light pollution head out to sea for some camping on one of the five islands that comprise the Channel Islands National Park. You’ll practically be engulfed by the swirling stars overhead. 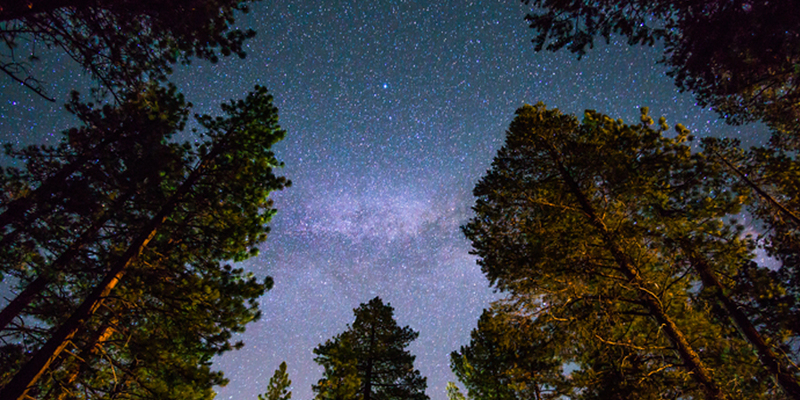 1 - Stars over redwood trees, near south Lake Tahoe, California. 2 & 3 - Exterior and interior of Griffith Observatory in Los Angeles California. Popular tourist attraction and science centre. 4 - Milky way over Anza Borrego state park. All images provided by shutterstock.com.